Today, I bring you part 4 in my mini-series, taking a look at some of the very best releases of 2013 to date. In the early 2000’s, Darkane were one of those bands that were very important to me when I was devouring as much of the melodic death metal subgenre as I could. In fact, 2002’s “Expanding Senses” is still one of my go-to albums when the need arises. Whilst I have been slightly less enamoured with more recent releases, “The Sinister Supremacy” demonstrates a real return to form and it may just challenge their very best material. 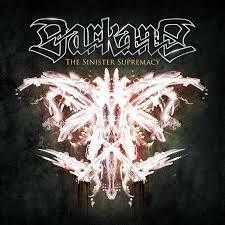 Darkane have always differed from the vast majority of other bands within the genre in so far as their aggressive outpourings have always threatened to spiral into chaos, only to be pulled back from the brink via intelligent song writing and glorious melody. The same is true here, although for my money, this has been taken down a notch, slightly softened. The whole thing is still heavy and aggressive as hell, but in a more mature, grown-up way. The song writing remains out of the top drawer and there are some really strong choruses to get lodged in you brain. Moreover, “The Sinister Supremacy” is sharp, incisive, reassuringly brutal and, with more than just a hint of ‘core’ about it, it should appeal to more than just the average melodeath fan. 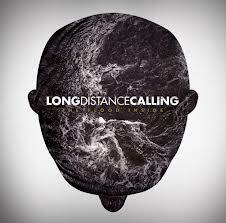 I was never much of a fan of the instrumental prog band Long Distance Calling until I caught their show at Progpower Europe a couple of years ago. However, their atmospheric and powerful show won me over to a greater or lesser extent. 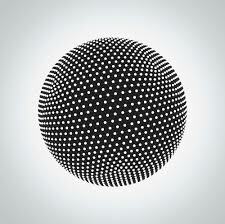 Album number X though, the magnificent “The Flood Inside” has turned me into a real fan. With the departure of founding member Reimut von Bonn, Long Distance Calling have taken a different approach with their sound on “The Flood Inside”. The atmosphere, the melodic flourishes, the density and the wall of sound riffs remain but into the fray for the very first time comes a vocalist in the form of Martin ‘Marsen’ Fischer. It is a great addition because it adds another dimension to the band’s already impressive musical output. Instrumental virtuosity is not what Long Distance Calling are about. Instead they’re all about working as an impressive unit to create moods and take the listener on an interesting, occasionally slightly quirky, journey. With “The Flood Inside”, they have really delivered. Here’s another surprising inclusion into this series. Well, it is a surprise to me anyway. If you’d have said to me that the new TesseracT album would feature in the top 10 or so albums from the first half of 2013, I’d have laughed at you. Undeniably a great band at what they do, it is nevertheless on the very fringes of what I tend to like. However, with “Altered State”, the approach has been tweaked and the results are sensational. The album is arguably still djent at it’s heart, but the whole thing has been toned down to create a much more atmospheric and emotional end product. There are still moments of all out djent chug that litter the album but, for the most part, this is beautifully crafted and glorious progressive rock with metal leanings. And yet, in spite of this, I doubt that you’ll hear many more powerful albums this year. “Altered State” is a record that I feel more than I hear if that makes sense, as the music doesn’t just assault the ears, it goes deeper than that. A massive shock for me, but a very welcome one indeed. I have already blogged about my love for this band, so I won’t go on too much about them here. 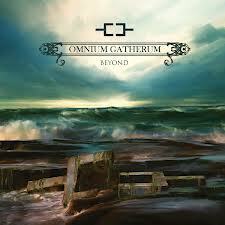 Suffice to say that album number six, the simply-titled “Beyond” is an absolute belter. “Beyond” takes the melodic death metal blueprint that has been around for a couple of decades now but does something different with it. Instead of exploring a modern edge or overly technical ideas, the Finns have instead blended the crushing death metal with some of the most melodic choruses they can muster. The results are simply stunning and have led to the band themselves referring to their music as ‘adult oriented death metal’. I’d not disagree either because “Beyond” really does sound like a blend of death metal and AOR which really works thanks to some superb song writing prowess. Really enjoyed the halfway 2013 read. As you’d expect I’ve listened to most of it and enjoyed a lot of what you like…..(I’ll pass on the more extreme stuff tho – Darkane, Soilwork, Killswitch and Rotting Christ – growlies!!!!). Kingcrow is my top of your list. Good pick on the Sound Of Contact and the WET – GS Soto is an all time great singer – brilliant live – although I prefer him on the Talisman albums – the WET is ..well just a bit too wet for me. Serenity is a band I picked from their debut. They’ve just got better with each release. Amaranthe too – my pick of the female fronted stuff along with Delain and Sirenia. Disappointed with the Cynthesis, Riverside and Leprous – just not working for me as I’d hoped. The Maschine? Struggling with the vocals there – needs a top notch singer to bring that sort of thing off for me. Thought you have gone for My Soliloquay? The new Spocks Beard is more my taste with Ted Leonard as the new singer. The Votum is probably my top album of the year so far. Of your future picks: Really high hopes for the Karnivool and Subsignal too. The new Fates is top of my list. Hope you can find a way to make it to PPE. Fates and Wolverine are enough for me to go. BTW: I am now living in central France….